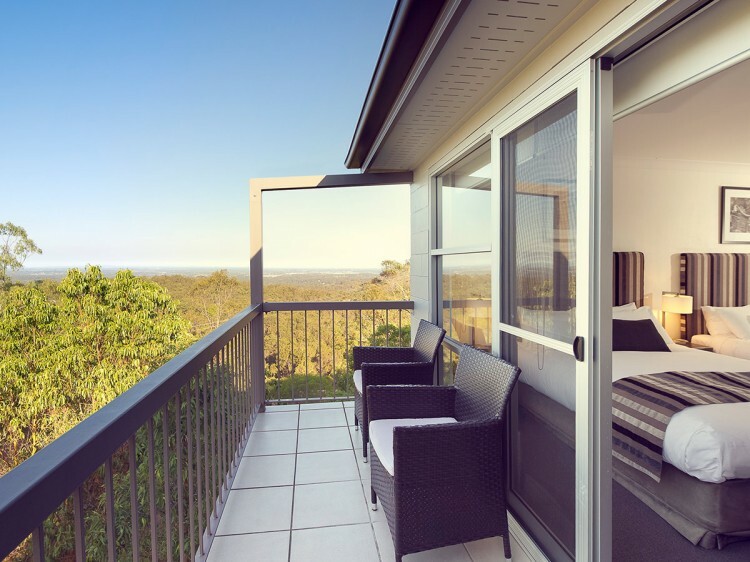 Perched in cool, clear mountain air north of Brisbane, it commands the peak after which it was named and enjoys sweeping views which encompass the granite spires of the Glasshouse Mountains, the distant towers of the CBD and Moreton Bay and its islands. From the moment of your arrival you’ll be seduced by the sense of calmness which embraces the Lodge, a place where guests leave behind the travails of the city and luxuriate in the feeling of remoteness whilst only a 35 minute drive from the city centre. 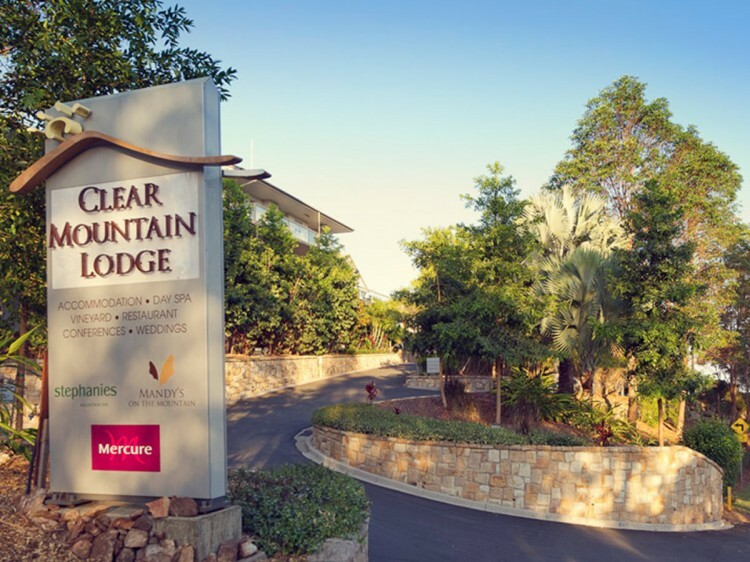 Set amidst 20ha of native bush land with unparalleled 360 degree views, Clear Mountain Lodge and Spa is designed to appeal to couples seeking a quiet weekend or mid-week escape. It also offers the perfect solution for conference organisers in need of a stress-free, relaxing retreat conducive to team building. 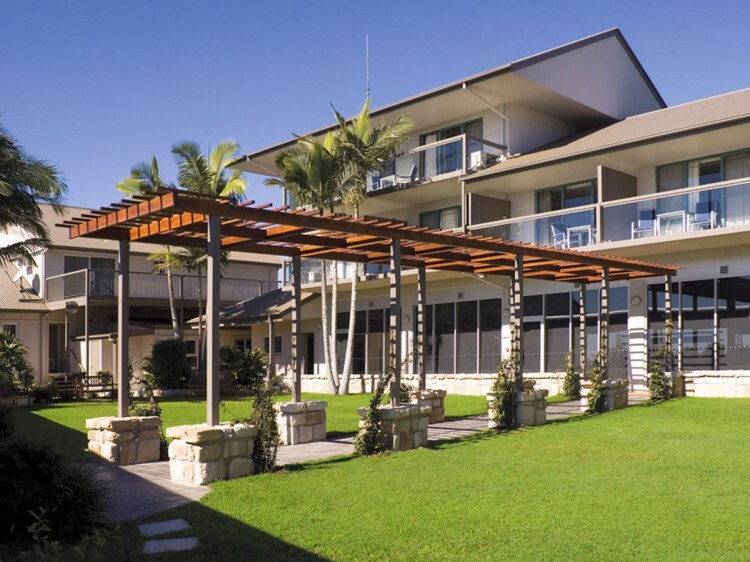 The Lodge’s 53 rooms and suites all enjoy private balconies designed to take full advantage of the outlook with other features including a large outdoor swimming pool, tennis court and its own vineyard. 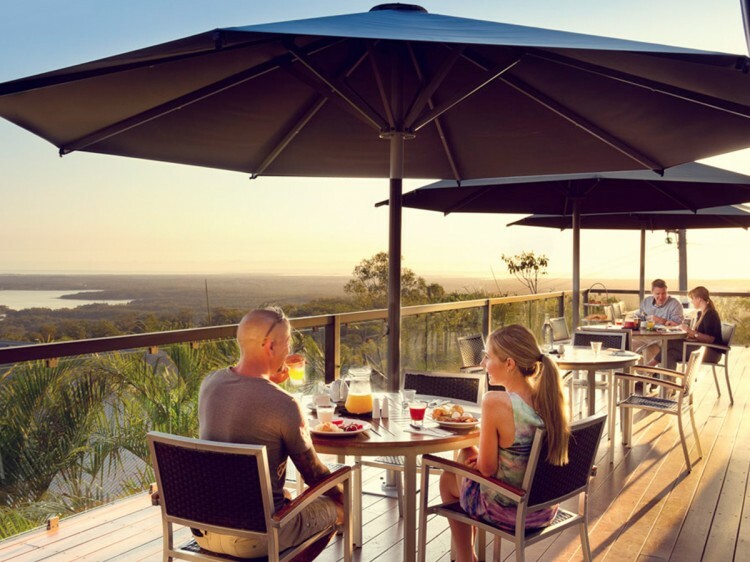 Mandy's on the Mountain Restaurant & Lodge Bar - a panoramic fine dining experience, unique among Brisbane restaurants and bars with its tranquil setting and imposing views sweeping across the high rise towers of the Brisbane CBD, the Port of Brisbane, the bayside suburbs and the waters of Moreton Bay. Executive chef Ivan Butera presents modern dishes imbued with a light, rustic touch with the focus being on fresh, local produce and herbs from The Lodge gardens. Open for dinner Wed to Sat from 6:00pm to 9:30pm. Lakeview Restaurant - a more casual affair offering a mouth-watering selection of entrees, light meals, mains and desserts and full buffet breakfast daily. Open for breakfast from 7:00am to 9:00am Mon-Fri and 7:00am to 10:00am Sat-Sun. All day dining is available from 11:30am to 9:00pm daily. Stephanies Mountain Spa - specialising in couples and group treatments, the spa offers a well-rounded and unique menu of therapies, including blissful half and full day spa journey packages. The hinterland spa retreat spans over six magnificent treatment suites including a hydro couples suite, a grand Boudreaux VIP lounge and bath suite, a triple treatment room, a steam therapy cave, unique hydro swiss shower room and a sole therapy and manicure lounge which can accommodate up to seven people at one time.